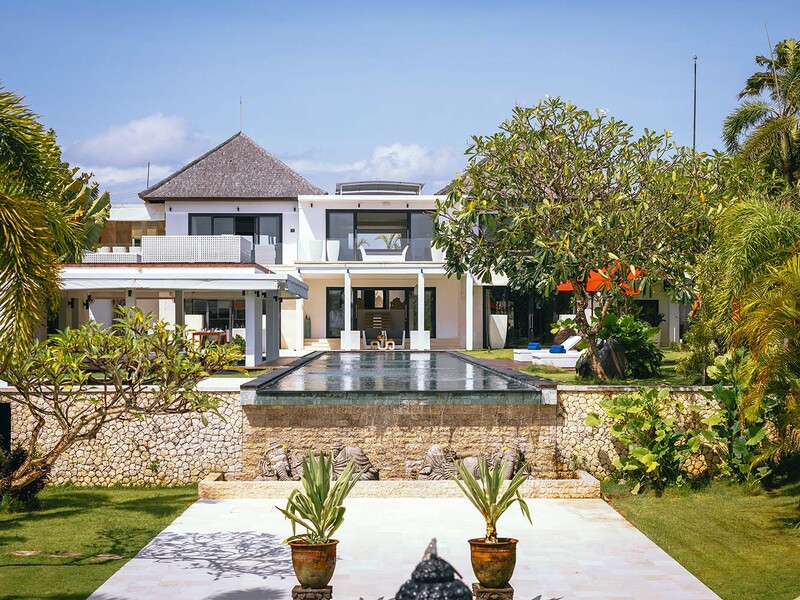 Perfectly set up for weddings and special events, Seseh Beach Villas is a unique two-villa property situated just steps from the beach in the quiet fishing village of Seseh on Bali’s southwest coast. 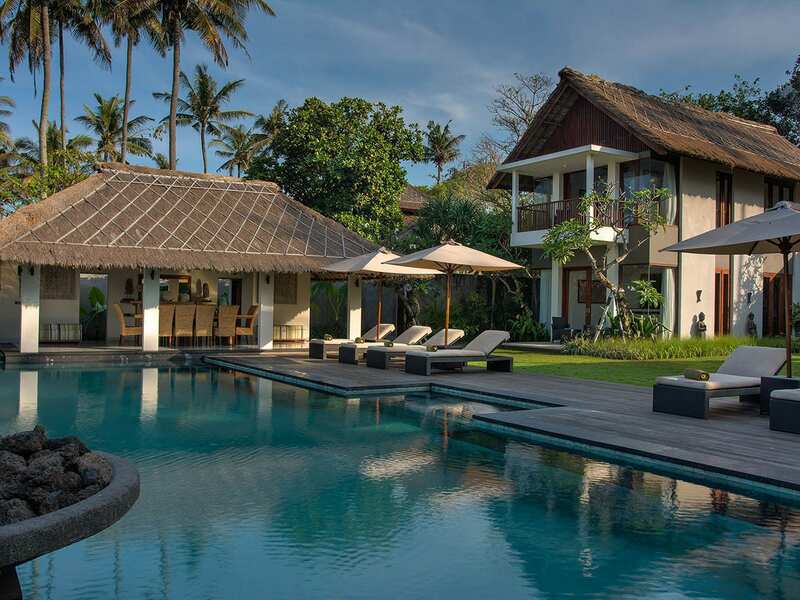 The two villas can be rented separately—one with five bedrooms and another with six bedrooms—for family holidays or group gatherings, or they can be rented together as an interconnected 11-bedroom property that can sleep up to 20 adults and four children. 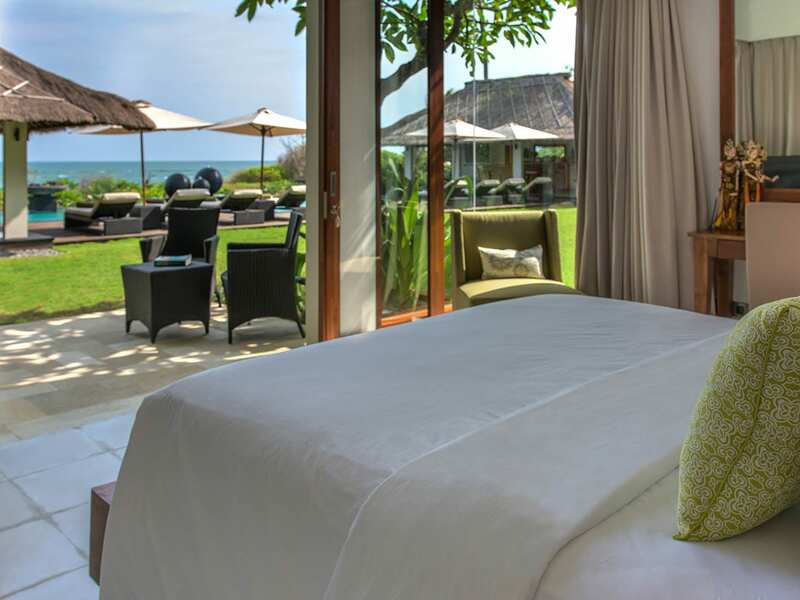 With two stunning villas to choose from at Seseh Beach Villas, you are spoiled for choice when it comes to accommodation. 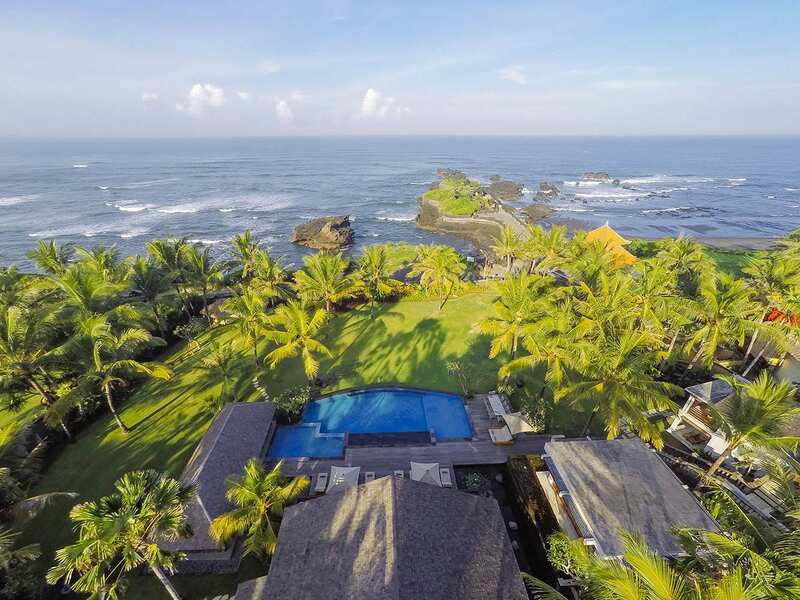 Both the 5-bedroom Seseh Beach Villa I and 6-bedroom Seseh Beach Villa II boast contemporary design, spacious gardens, private swimming pools and dedicated villa staff. 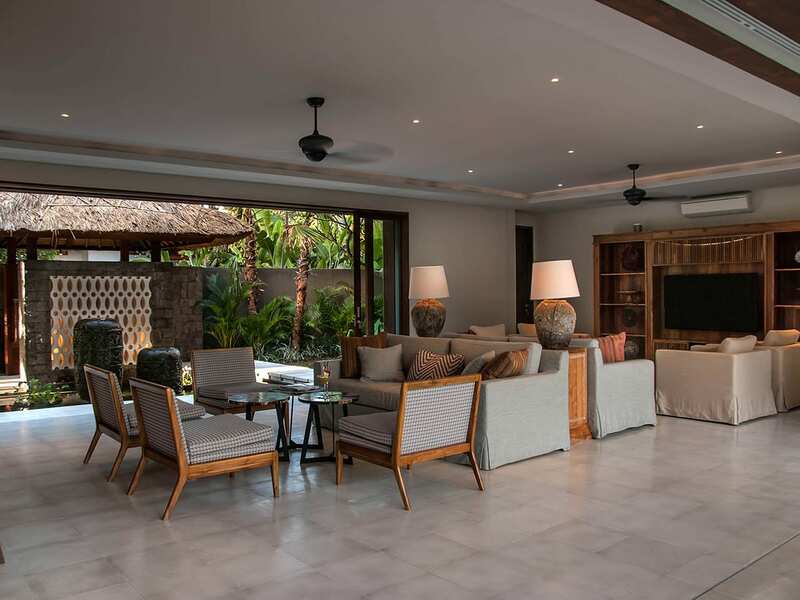 Throughout the villas you will find clean white lines and tropical touches like natural wood and stone, as well as large windows and doors that offer views of the lush greenery and ocean. 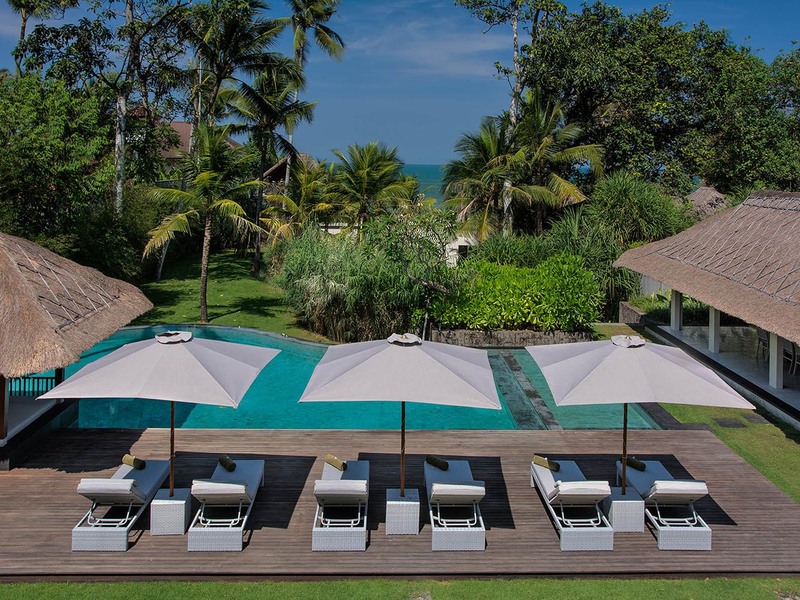 The villas also feature al fresco dining and relaxation areas that are ideal for hosting garden parties, seafood BBQs, and cocktails and canapés next to the sea. 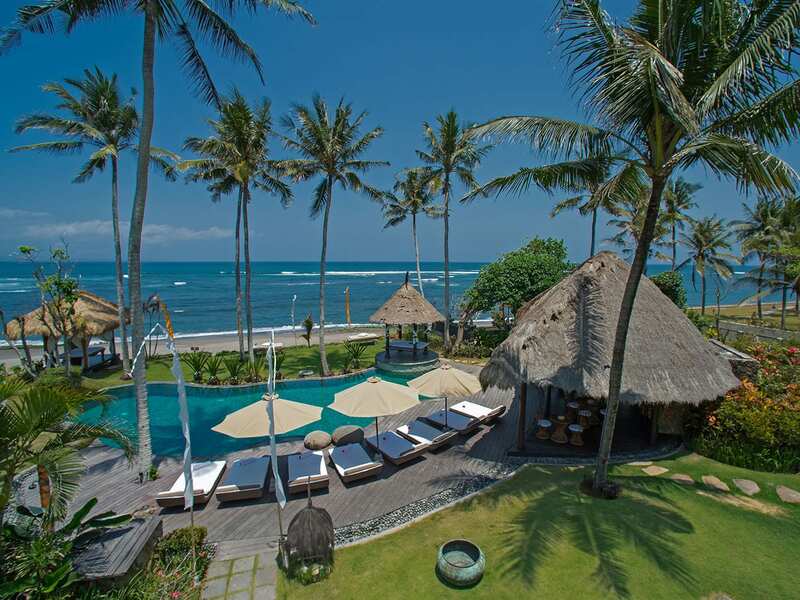 Seseh Beach Villa I is a two-storey, C-shaped building that opens up to a wide lawn with a pool facing the ocean. On the ground floor there is an air-conditioned living and dining room with floor-to-ceiling glass doors that open to the garden. The three guest bedrooms are also on the ground floor and feature beautiful terraces and ensuite bathrooms with bathtubs and outdoor showers. 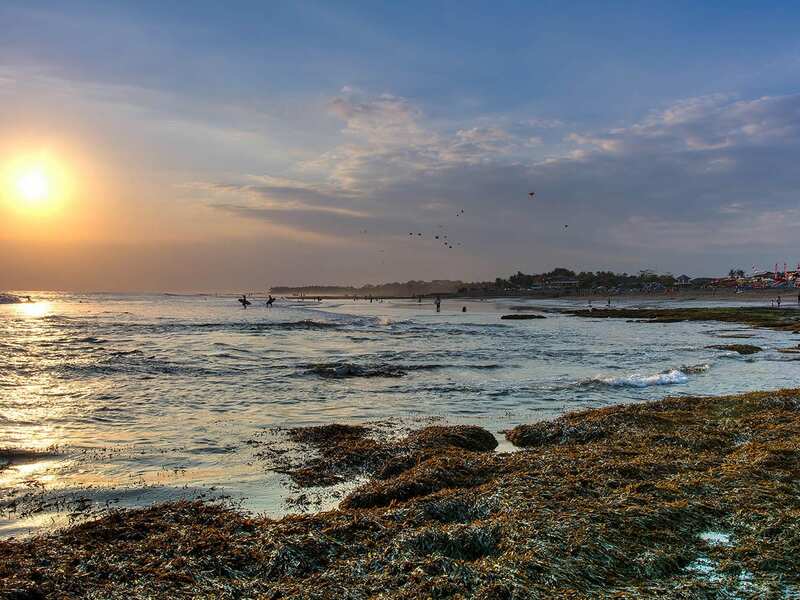 The master suites are located on the upper floor and have breezy balconies overlooking the ocean and ensuite bathrooms with open-air bathtubs and showers. 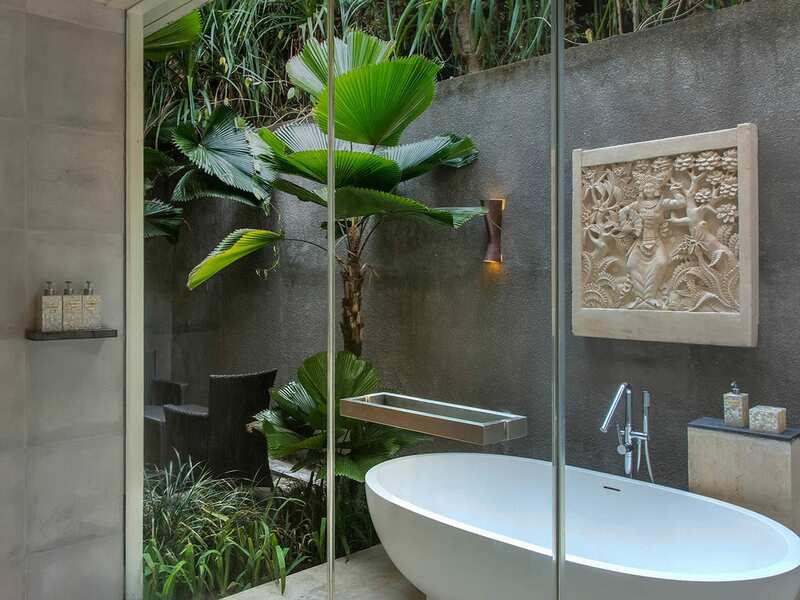 The master bathrooms also have doors that lead to a rooftop terrace with beanbags and sofas. 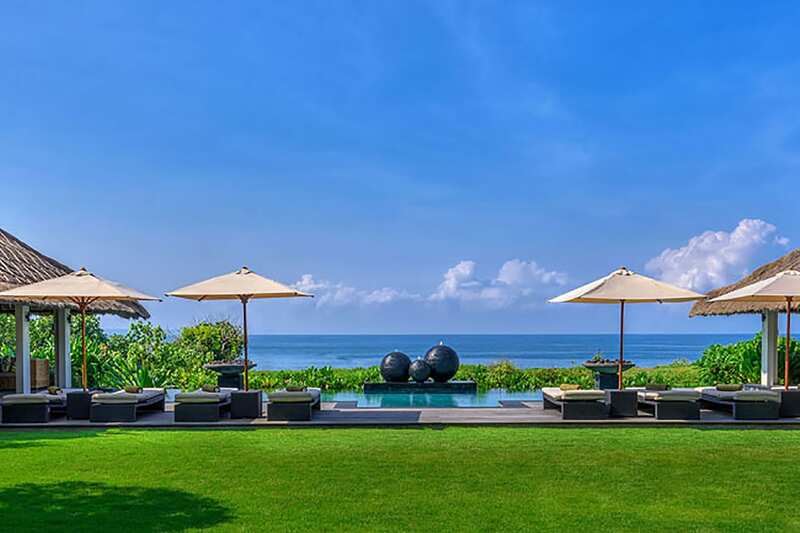 The 16.5-metre pool is the main centrepiece at Seseh Beach Villa I with its striking fire-bowl sculpture that lights up at night and its timber deck sporting comfortable sun loungers and umbrellas. 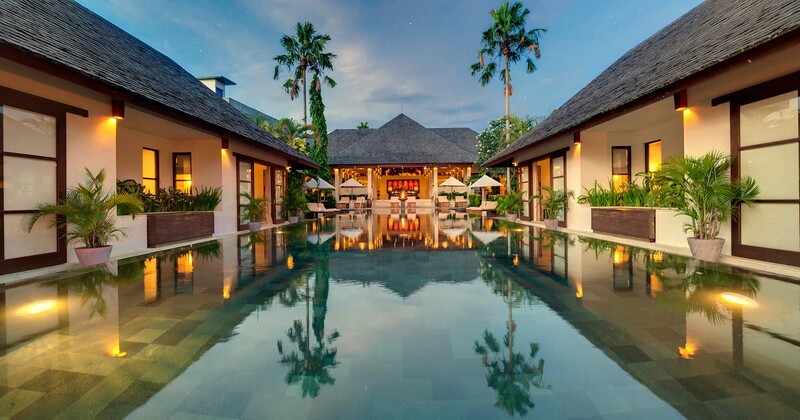 On one side of the pool there is a lounge pavilion that is open on all sides and furnished with soft sofas, bell lanterns, and a satellite TV. On the other side there is a open-sided dining pavilion with a table for 12, cooling ceiling fans, and two guest washrooms. 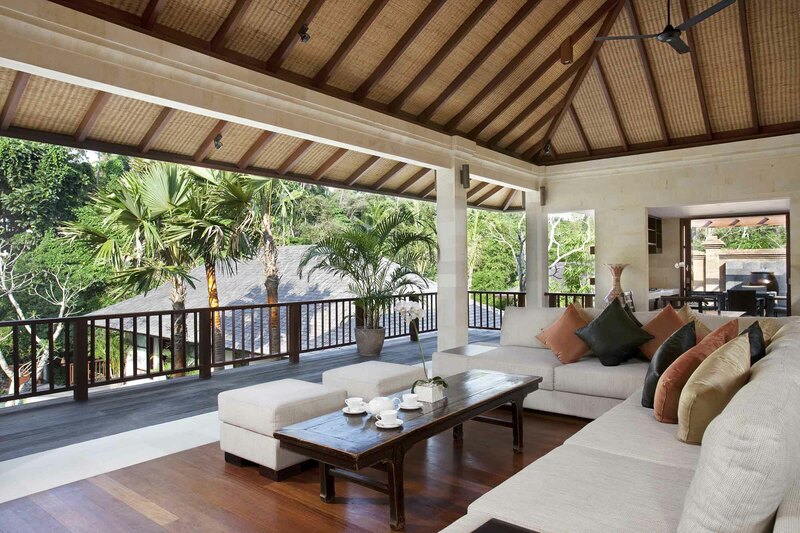 Seseh Beach Villa II offers six bedrooms spread over two stories. On the ground floor there is a lovely living room with two sitting areas, one facing a 65-inch TV and the other in front of a stylish bar. Sliding glass doors open on two sides for a semi-open-air atmosphere. This level also houses an elegant dining room with a table for 14, a guest bedroom with a garden terrace and ensuite bathroom with an outdoor shower, and a kid’s room with four bunk beds and an ensuite bathroom. On the upper level you will find the master bedrooms with ocean-facing balconies and bathrooms with freestanding tubs, as well as two guest bedrooms that share a communal balcony. 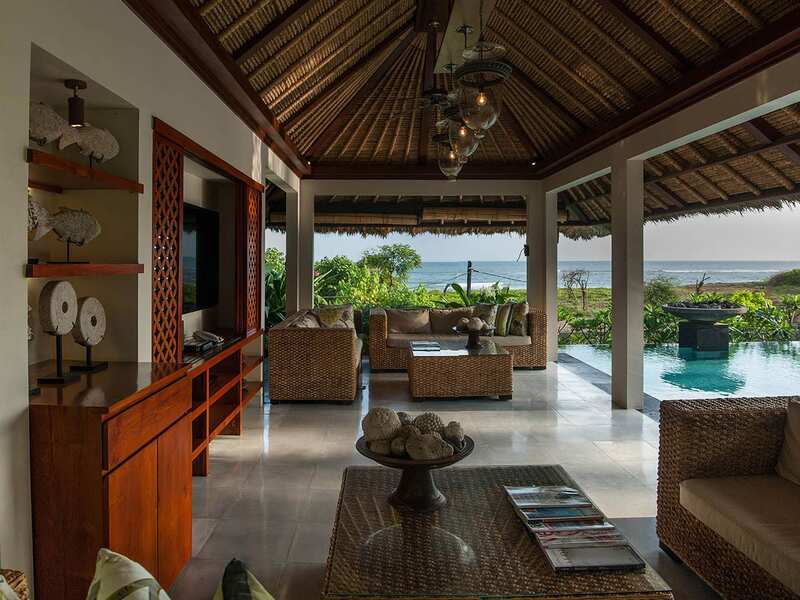 Outdoor living is one of the main draws to Seseh Beach Villa II. Little ones will love playing on the soft green lawns, while adults can enjoy the comfortable sun loungers on the timber pool deck next to the 14-metre pool. There is also a poolside bale with oversized cushions, and an al fresco dining area with a table for 12. 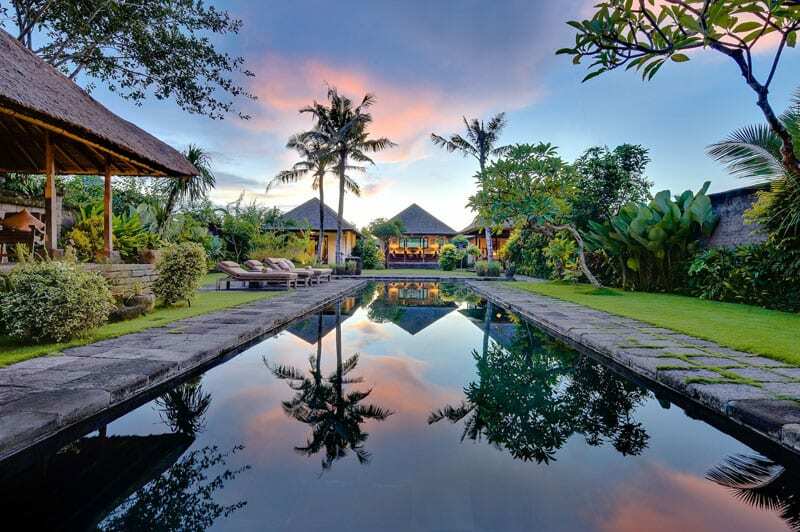 For special events, the villa staff can help you arrange everything from catering to Balinese dance performances and ceremonies in the garden overlooking the ocean. VILLA COMPLEX 2 private, self-contained neighbouring villas comprising 1x 5-bedroom villa and 1x 6-bedroom villa. CAPACITY 20 adults and 4 children. LIVING AREAS Air conditioned living and dining rooms; outdoor dining pavilions; poolside relaxation balés; terraces; pool decks with sun beds and umbrellas. POOL Two pools measuring 16.5 x 5 metres and 14 x 6 metres. STAFF The staff team includes a villa manager; private chef; assistant cook; villa attendants; security; gardener; maintenance. Additional staff (babysitters, masseuses) available on request. ENTERTAINMENT Flat-screen satellite-channel TVs in living rooms and bedrooms; DVD players; iPod docks in each room (Bluetooth or cable through Sonos system); Xbox; PlayStation; Wii. FOR FAMILIES Seseh Beach Villas are well equipped for families. Facilities include a children’s pool ; cutlery and plates; baby cot; high chair; DVDs; toys and pool toys. 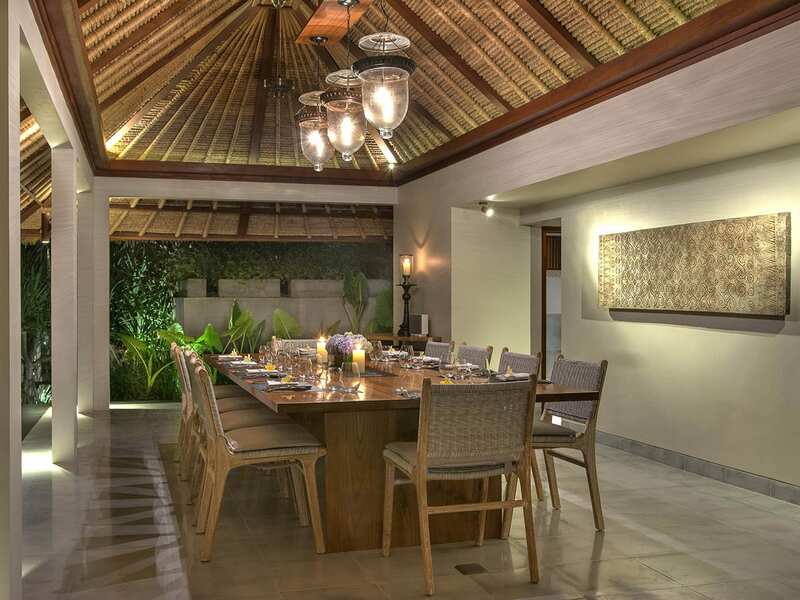 WEDDINGS & EVENTS Seseh Beach Villas are perfectly located and set-up for weddings and special events. Parties of up to 150 (seated) and 200 (standing) people can be arranged at the villa with prior notice. PROPERTY AREA 4000 sqm (land).